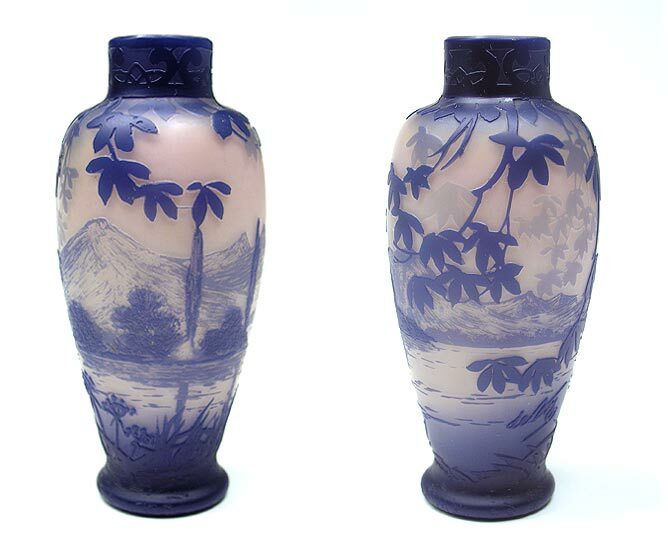 D'Argental vase were made by Paul Nicolas. The quality is superb on almost all D'Argental items, but D'Argental is not as well known as Galle or Daum, so the prices are still quite reasonable. 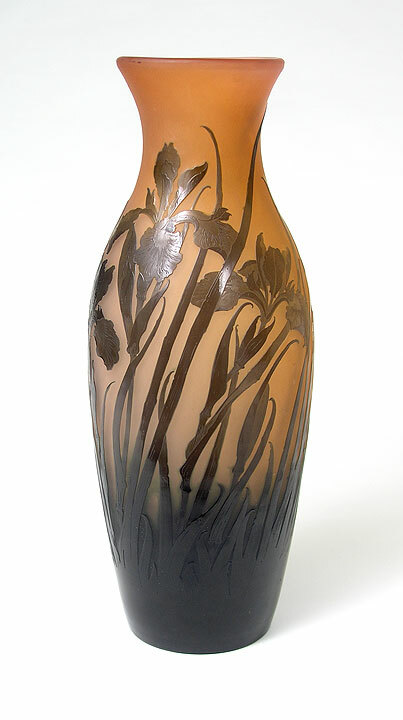 This is a monumental vase with great subject matter (irises), great color and super size at 18". The price would be double or triple if it were Galle or Daum. Signed. Mint condition. 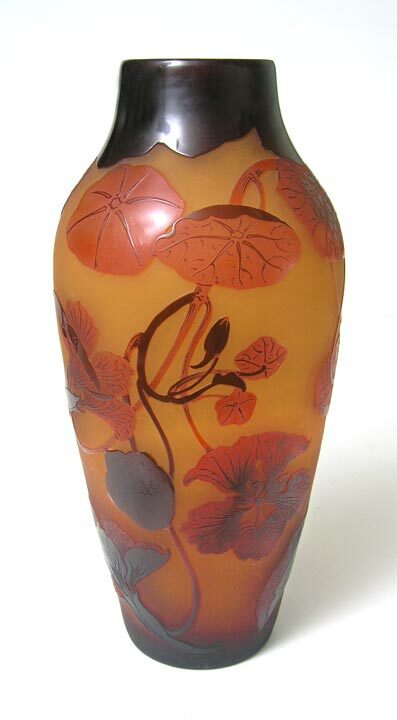 I don't often buy Mont Joye vase, but this one is so exceptional, I did. 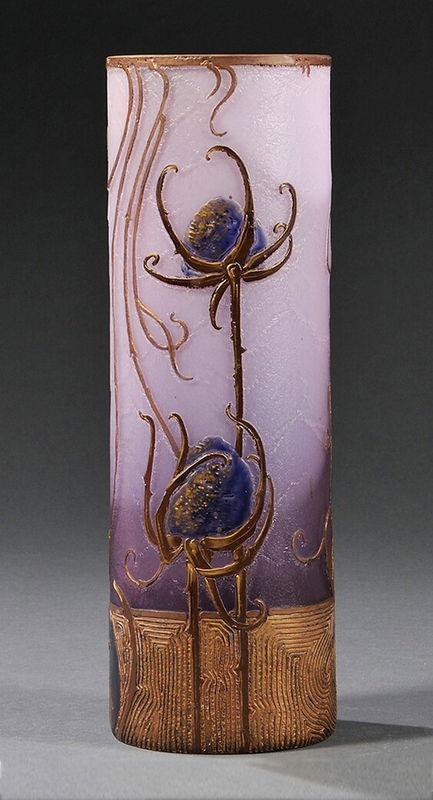 The thistle flowers are the nicest I've seen, with acid-etching and extensive gilding. The base is very Wiener Werkstatte in design. 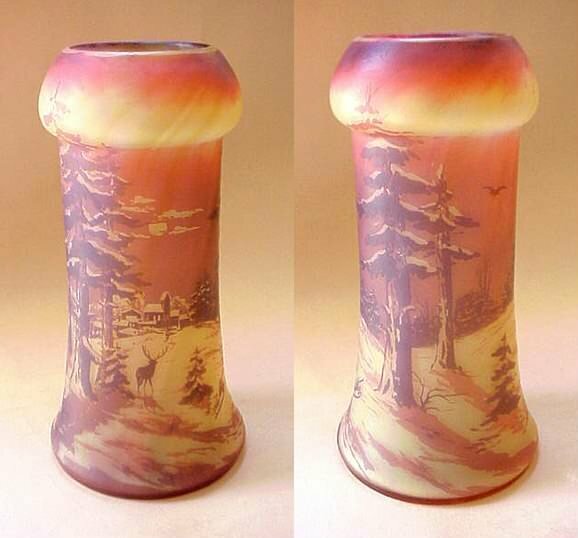 All in all, a colorful beauty in a good size, 10¾" tall. Signed. Excellent condition except for a tiny nick on the rim.